Remember the joy of going on a field trip when you were in school? Getting out of the classroom for the day to explore, learn, and discover something new. Now field trips aren’t just for schools. You can make your own using our NJ Kids Field Trip & Assembly Guide. There are so many opportunities to teach your kids something while still having tons of fun. Here are a few places to start. WheatonArts is one of southern New Jersey's best cultural arts destinations. The Center offers exhibitions, artist demonstrations, educational programming, classes and workshops. The Museum of American Glass has one of the largest collections of American glass in the country including the world's largest bottle. You will watch hot molten glass transformed into works of art during the Glass Studio demonstrations and interact with the artists in the Ceramics, Paper and Flameworking Studios. Other highlights include a scenic playground and picnic area, award winning museum stores and an onsite café. 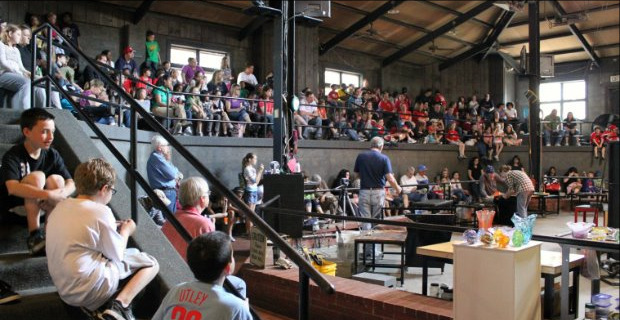 Hands-on fun and educational too at the Franklin Mineral Museum! Great for kids of all ages! 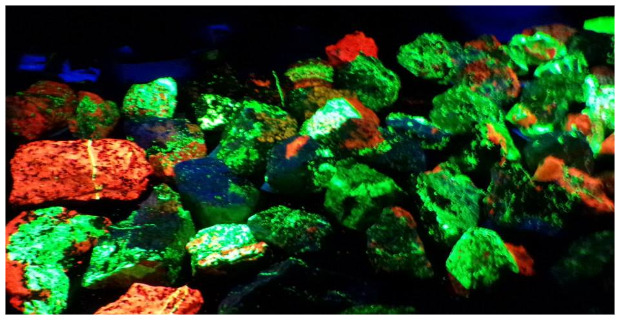 Learn all about fluorescent rocks and minerals found in NJ's “Fluorescent Mineral Capital of the World,” view thousands of minerals and go collecting for your own! Put your hand into a dinosaur's footprint and tour through a two-story mine replica. Go prospecting for fossils among the dinosaurs and then try gem panning for some shiny gemstones. The National Constitution Center is an essential Historic Philadelphia destination where visitors of all ages and backgrounds can explore the history and relevance of the Constitution, celebrate their freedoms, and embrace their role in the story of "We the People." The Center features a range of exhibitions, live performances, and programs that illuminate constitutional freedoms. Whether you have 45 minutes or an entire afternoon, you’re guaranteed to be moved by what it means to be American. Cape May County Park Zoo is a FREE attraction known for it's wildlife and endangered species. Over 550 animals, representing rare and endangered species. Cape May County Park Central is over 200 acres including the Zoo, with many forested areas maintained in their natural state. Within the park, you will find picnic areas, walking paths, bike paths, fishing ponds, picnic pavilions, disc golf course, playgrounds & more. Admission to the Park and Zoo is completely free as well as all parking for cars. Wall Street Walks provides New York Walking Tours of the downtown New York Financial District. Their guided Wall Street Walks tours are led by real financial industry insiders. They can customize a tour for your student group, company or professional group, family or small group to create a personalized experience that everyone will enjoy, no matter what they age. The Camden Children's Garden is designed for children and families. It is a special place to explore and discover the natural world. The four-acre garden provides horticultural experiences for creative and imaginative play for children, school groups and families. The Garden includes three indoor attractions, the popular Philadelphia Eagles Four Seasons Butterfly House, the tropical exhibit, Plaza de Aibonito and Ben Franklin's Secret Workshop. Other exhibits include a Dinosaur Garden, Maze, Tree House, Picnic Garden, CityScapes Garden, Storybook Gardens and the Fitness Garden. Visitors can round out their visit by riding the Carousel, Train and the Spring Butterfly Ride. Get Inside the Fun at iPlay America! It's ALWAYS FREE to enter. Create great memories with a spectacular array of more than 200 video and skills games, Cosmic Battle: The Extreme Laser Experience - our two-level laser tag arena, 4-D Movie Theater, indoor boardwalk, concerts, and other events. 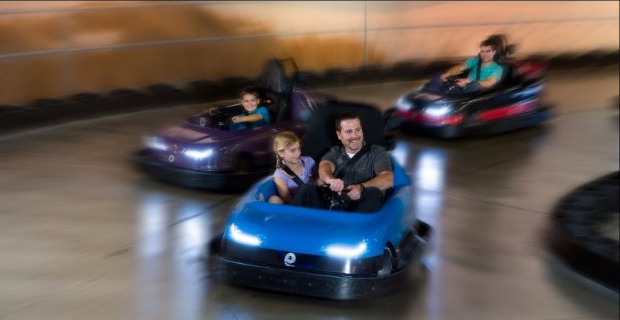 Guests select from Go Karts on the iPA Speedway, Bumper Cars, the Kite Flyer, Skyscraper, Boardwalk Mini Bowling, and a variety of other rides and attractions for younger children. iPlay America also features Game Time Bar and Grill, Sonny's Boardwalk Grill, Mixx Frozen Yogurt, Boardwalk Bites, and Broadway Sweets, complete with tons of current and retro candy. Every Friday at 8 p.m., iPlay America offers iPlay After Dark - Central Jersey's best party for teens - where they turn the music way up and the light show on for a one-of-a-kind experience. Get the Kids JUMPING! at Air Trampoline Sports. Located in Aberdeen they are the largest jumping park in New Jersey. 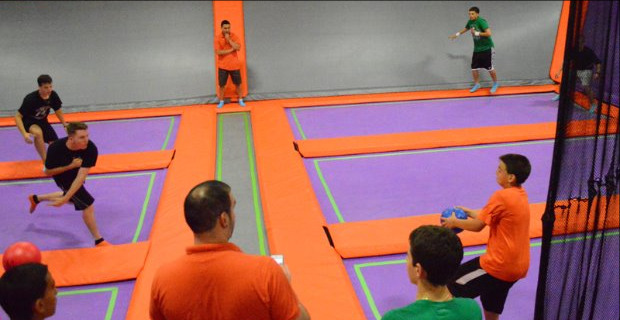 Air Trampoline Sports has 18,000 square feet of trampolines, including four foam pit lanes, three slam dunk basketball lanes, three unique 3D dodge ball courts, a high dive platform, a gymnastics performance track, and a ninja obstacle course. There are no specific age restrictions for jumpers and all sessions have a designated kid's area. Free Wi-Fi is available throughout the park. They have concessions, plenty of seating areas and an arcade for all to enjoy.